Daniel Craig returns as James Bond in the series' 23rd installment. 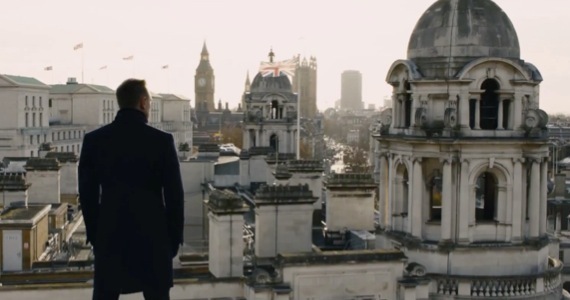 "Sometimes the old ways are the best", a character remarks at a pivotal moment in "Skyfall". Thankfully it's a philosophy the film-makers have taken to heart for this latest episode of British cinema's most successful export. Released on the fiftieth anniversary of "Dr. No", this is a movie steeped in nostalgia for not just Bond's, but cinema's, past. Since Roger Moore hung up his tux in the mid-eighties the franchise has suffered an identity crisis. First we had two humorless Timothy Dalton excursions as the producers attempted a more realistic approach. Then Pierce Brosnan was brought on board as the series made something of a return to the jokey nature of the Moore years. After two Daniel Craig outings, one semi-successful, the other an unmitigated disaster, the series was once again at a limbo. Critics appreciated the absence of cheesy one-liners but many viewers complained that the films were now taking themselves too seriously. 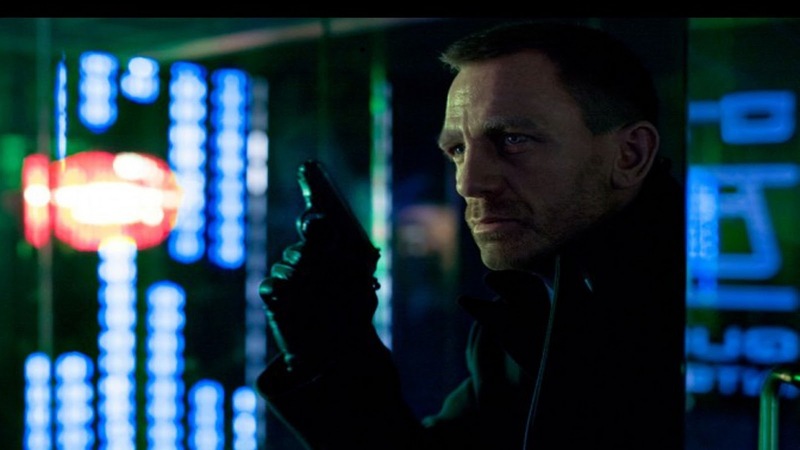 "Skyfall" wisely doesn't take itself seriously, in fact it's by far the most humor filled Bond we've seen. The jokes aren't of the old "nudge nudge wink wink, raised eyebrow" variety, rather they're genuinely clever barbs and snipes of the variety usually found in the screwball comedies of the forties. As M, Dench is given an acre of screen time and most of the film's highlights involve the bickering between herself and Craig. At times their relationship is reminiscent of those found in Hitchcock's great early British films like "Young & Innocent" and "The Thirty-Nine Steps". Unlike most Bond movies, the plot is straightforward and doesn't leave you with a headache trying to figure out what's going on. Usually Bond villains have some obscure MacGuffin plan that we have trouble getting our heads round but here it's a simple case of revenge. Because of this it ranks with "On Her Majesty's Secret Service" in transcending the series. On a technical level this film is in a different league to it's predecessors. Prior to this, Mendes was probably the most talented director never to have made a worthwhile movie. His previous films had featured small moments of brilliance but failed to satisfy as a whole. Here he keeps things simple but elegant. At one point a monologue is delivered in one single discomforting shot, beautiful in it's economy. His action scenes are brilliantly constructed and edited by the great Stuart Baird. 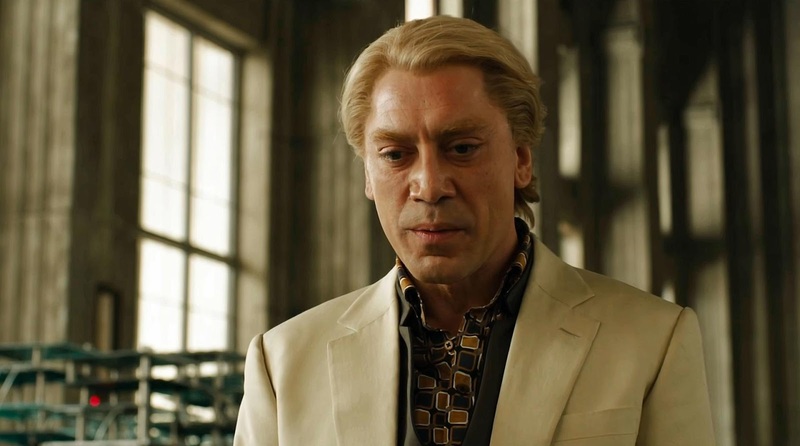 Unlike those seen in "Quantum of Solace", we can actually understand what we're seeing. The real star of the film, and my early tip for an Oscar, is cinematographer Roger Deakins. He's being doing sterling work since the eighties and this could be his greatest achievement yet. The neon of Shanghai's skyscrapers, a candle-lit gambling den in Macau and the grey-ness of the Scottish Highlands all have their own distinctive character and all look equally stunning. From a technical point of view, the film is only let down by one dodgy bit of CG involving a lizard. In the past, the Bond movies lacked that Hollywood slickness that betrayed their British origins. Now, in a year of over-rated blockbusters, here's a British film that shows Hollywood how it should be done, how it was done in the past. 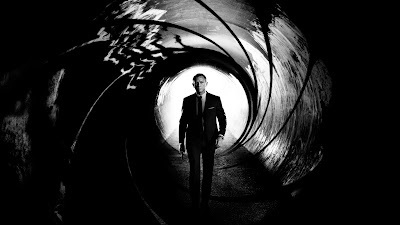 James Bond has returned...in "Skyfall".